Here's a link to my latest column for the Ballard News-Tribune about a tree that was cut down in my neighborhood. The reaction by the City of Seattle and the neighbors have led me to start considering what is the proper role of government in our lives. 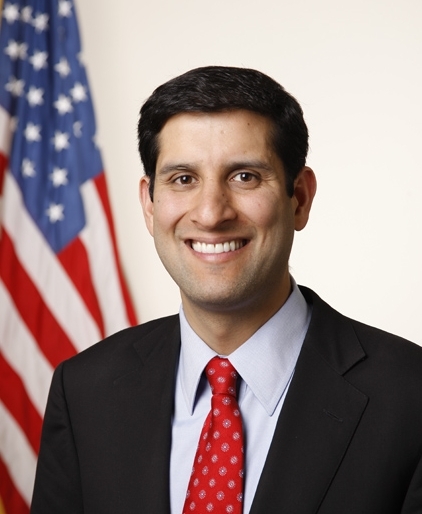 On Thursday, March 4, 2010, Vivek Kundra, the Obama Administration’s Chief Information Officer spoke on the campus of the University of Washington about the technology gap across the federal government. He delivered a presentation entitled: “Making Government Work: Closing the Technology Gap to Deliver for the American People.” The talk, which was sponsored by the Evans School of Public Affairs, touched upon a lot of areas for those who are interested in information management and the Obama Administration’s long-term plans to reform the way the federal government delivers services to the citizens. Kundra’s stop at UW was part of a West Coast tour that took him to Silicon Valley where he visited officials at Google and Apple, and San Francisco, where he met with Mayor Gavin Newsom. While in Seattle, Kundra met with officials at Microsoft and Amazon. Kundra informed the audience that the federal government is the largest purchasers of IT on the planet and that his job is to manage this 79.4 billion dollar portfolio. Despite all of this investment, Kundra pointed out there is a “technology gap” in the federal government due to waste and inefficiency. Kundra wants to cut the wasteful spending and change how people interact with the federal government. Two of the visible aspects of these ideas are http://www.apps.gov and http://www.data.gov. Apps.gov is the federal cloud computing services hub and Data.gov provides access to government datasets as part of the Open Government Directive, which required that all federal agencies make high-value datasets available within 45 days. One of the datasets released by the Federal Aviation Administration (FAA) has already been used to create a website http://flyontime.us, that checks average flight times between airports. While still in their infancy, these sites are tangible signs that President Obama’s campaign promise of a more open and transparent government is making progress and the possibility in savings and innovation that could arise. View the video of his talk hosted at the Evans School website. X-Posted to the MSIM 2011 Blog.